Afghanistan, Australia, Bosnia and Herzegovina, Central African Republic, China, Democratic People’s Republic of Korea (North Korea), Democratic Republic of the Congo, Eritrea, Ethiopia, Guinea-Bissau, Iran, Iraq, Japan, Korea, Lebanon, Libya, Myanmar, Somalia, South Sudan, Sri Lanka, Sudan, Syria, Tunisia, United States, Vanuatu, Yemen, Zimbabwe. Blockchain technology has provided a way to maintain consensus across all nodes with no central authority. However the technology faces fundamental issues like a lack of real-time transaction settlement and scalability. Despite improved consensus algorithms, current blockchain implementations use nodes that synchronize one block at a time. This results in slow confirmation times, one of the biggest factors stopping blockchain technology from being widely used across many industries. Although third-generation Smart Contract platforms such as Cardano and EOS have emerged, scalability issues have not been resolved. To address these persistent issues, a new model based on the Directed Acyclic Graph (DAG) was developed. Newer platforms such as IOTA, Byteball, Nano, and Hashgraph improve on current blockchain scalability. This new technology does guarantee real-time transactions because nodes process transactions asynchronously, while ensuring infinite scalability and potentially achieving hundreds of thousands of transactions per second as more nodes participate in the network. However, these platforms lack the Smart Contract dApp infrastructure provided by platforms like Ethereum. 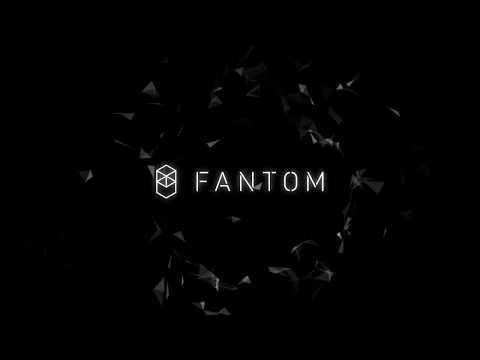 FANTOM is the world’s first DAG based Smart Contract platform that solves the scalability issues of existing public distributed ledger technologies. The platform distinguishes itself from the traditional block ledger-based storage infrastructure by employing an improved version of existing DAG-based protocols. The FANTOM platform adopts a new protocol known as the “Lachesis Protocol” to maintain consensus. Applications built on top of the FANTOM OPERA Chain enjoy instant transactions and near zero transaction costs for all users. The mission of FANTOM is to provide compatibility between all transaction bodies around the world, and create an ecosystem which allows real-time transactions and data sharing with low cost. FANTOM (Ticker: FTM) is going to develop the first DAG based smart contract ecosystem in the world which will fix the issue of scalability and confirmation time of the existing blockchain solutions. I think the project is good. A lot of hype with quite significant funds investment as well. The team is very strong, with a good tech team behind the platform/project. All in all, good investment. - Interesting angle on tackling introducing historical data (they call it “Story Data”) into the Blockchain which is important contextually for preexisting state of particular market verticals. - Interesting efficiencies in combining Scala (normally to output Java Bytecode), with a register based -turing complete VM (as compared to stack based VM in Ethereum)..
- $40MM raise is outside of the hot zone. Would like to see a restructuring of the token allotments to a multiple phased based raise vehicle mapped to milestones in the $10-$15MM range individually. ** Conflicting info here on the Fantom Medium site, it says a $2MM hardcap.. WOW! A funny note.. Fantom; Opera; Story.. Made me laugh. Serious Note: The White paper is an EXCELLENT and EXCEPTIONALLY clear read on DAG and Lachesis. Thanks for that!! Notice: I do not provide investment advice. Please see my profile for important disclosures. Team : Team looks solid with in depth experience. Vision : Liked whitepaper that was clear with Roadmap. Product : No prototype. But will believe in partners like oracle and am sure they will be able to deliver.